Dolphins are one of Earth's smartest and friendliest wild animals. They live together in groups called pods, which can include just two dolphins or hundreds of them. 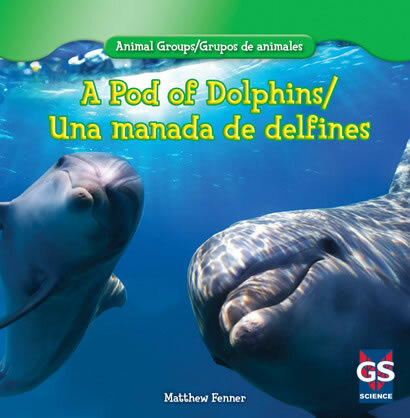 This bilingual narrative, in English and standard Latin-American Spanish, introduces what life in a pod is like through fun facts. Dolphins form friendships that last for a lifetime, and readers see bright photographs of dolphins in the water among their friends. Accessible text, colorful photographs, and an eye-catching graphic organizer guide readers as they independently explore exciting information about these popular animals.